A delegation of ForestFinest Consulting and CO2OL will participate at the Global Landscapes Forum (GLF), held 5-6 December in Paris, alongside the UN climate negotiations (COP21) as the world’s leading conference on land use issues. The GLF focuses on the relevance forestry, agriculture and land use have for climate and sustainable development. 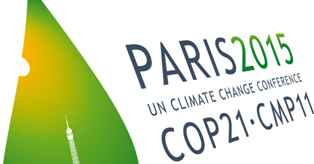 By bringing together experts and stakeholders from the diverse perspectives on global landscapes, solutions to the complex challenges common to everyone on the planet shall be developed at the Paris event. Dirk Walterspacher, Andreas Schnall and Julian Ekelhof will represent the expertise of the ForestFinest consulting team in discussions with negotiators, practitioners, business leaders, researchers, civil society leaders and policymakers. We will also attend the Fairtrade Carbon Credits launch event on 4 December. Feel free to contact us if you are in Paris for GLF, we will gladly reserve time for a personal meeting.